Confused about what to gift your boss without seeming to be a person who is trying to win his/her favours? 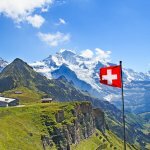 Here's an article that will help you find the perfect gift for your boss and will also give you tips on selecting a good gift for him/her. The relationship between a boss and an employee is one that needs careful nurturing. But if you are smart and sincere, you can build a rapport with your superior that will help you flourish in your work life. Buying your boss the right gifts is one way to make that happen. Buying a gift for your boss may be considered by some as a form of flattery. But the right gifts can help you bond with your employer and find common ground. Whether it’s their birthday or Diwali, make sure that you pick a gift which is functional. When your boss is someone who seemingly has everything, it may seem like a waste of time trying to find the perfect gift for them. But a gift which is useful and handy will always be received with great pleasure. A busy man or woman sometimes forgets about the little things. Give them something that will make their demanding lives a bit easier. It’s not easy picking out a gift for someone who seems to have all the luxuries that life has to offer. But taste and wit can help you come up with something ingenious that money alone can’t buy. Pick out unique gifts for your boss. Go online and do a thorough search. But before that, don’t forget to get to know your employer a little better. Conversationally, find out what they like to do in their free time or maybe what their favourite kind of drink is. You could invite them over for dinner or lunch at your house and ask about their food preferences. 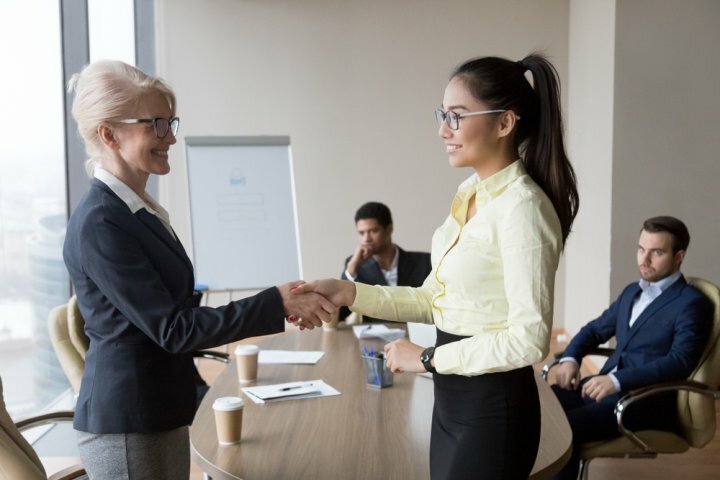 Getting to know your employer outside the office environment will help you get to know another side of his or her personality. Knowing your boss will definitely help you pick out a unique gift. Budget is of course an important factor in the gifting process, especially if the recipient is your boss. 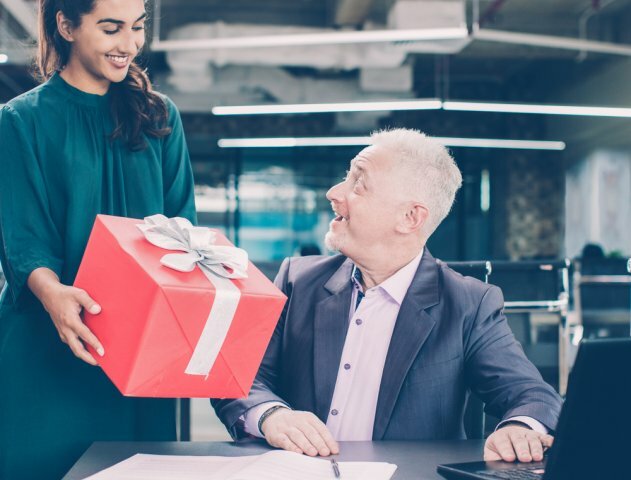 You have to stick to your spending capabilities but that doesn’t mean that you can’t get your boss a a gift to be cherished. The value of a gift is not always decided by its price. But the type of gift you choose is also important. Steer clear of popular gadgets and gizmos as your boss is sure to own the latest versions of every smartphone, tablet or smart watch that is available. Go for innovative and creative gifts instead. Handmade articles, quirky home and office accessories, gourmet food hampers, flavoured tea gift boxes, etc. would make both male and female bosses happy. Home-made cookies and cakes also make great gifts. Make sure you present the gift in a pretty fashion. Opt for good quality stuff always, while making sure not to overspend just to impress your boss. 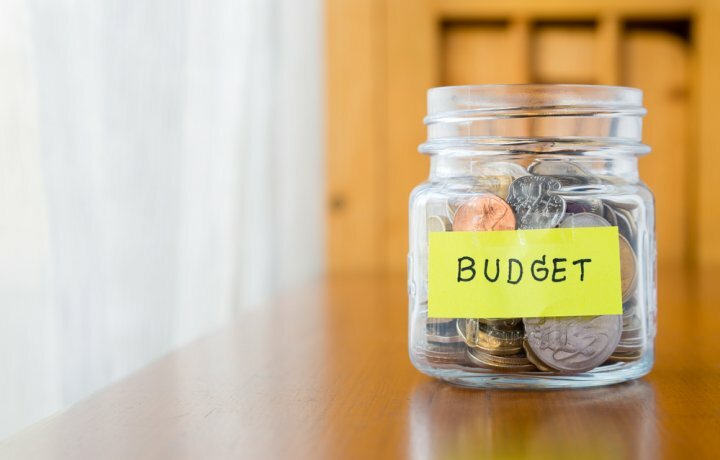 Your employer knows exactly how much your salary is, so you can relax and stick to your budget. Your boss will only appreciate your level headed attitude. Being the boss is a stressful job. The responsibility is huge and you seldom get a minute’s break throughout the day. Therefore the body is in obvious need of some relaxation. While a full-fledged body massage takes some time and a prior appointment, this portable shiatsu massager is perfect for momentary relaxation. Dr. Trust Physio Electric Heat Shiatsu Body Massager Machine is the perfect instrument for pain relief. 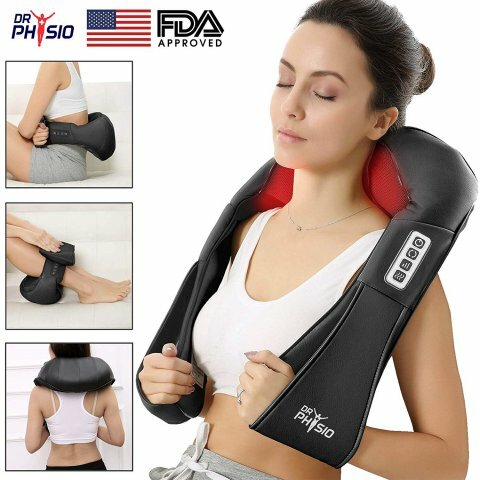 Built like a comfy neck pillow with straps to rest the arms this easy to use massager uses heat and intensity to reach hard-to-reach muscle groups for a relaxing massage that helps reduce tightness and improve flexibility. It has multiple massage nodes which provide kneading shiatsu pressure with eight rotating nodes to cradle, support and relax muscles. This device’s heating function offers a soothing warm sensation to tired muscle groups to relieve tension, stress and pain. The movement of this device gives the feeling of a real massage. You can buy this wonderful appliance from Amazon for around ₹1,948. If you think calendars are the most boring gifts ever then you might be right. But what if you get a calendar which is quirky and fun at the same time? Wondering what we are talking about? Here we have a calendar that incorporates one of the most fun and random things that most of us like doing - popping bubble wrap! The Lushleaf Designs bubble wrap calendar is the perfect gift for someone who needs to de-stress by doing something seemingly mindless. Popping bubble wrap may seem like a random thing to do, but gives one childlike pleasure and inadvertently helps to let off some steam. Give this gift to a boss who has a bit of a sense of humour and who you share some camaraderie with. This gift is perfect for people of all ages and genders. Order it for $14.95 which is around ₹1,033 from Amazon. If your boss is a bit of a foodie then this gift will be a lifesaver. 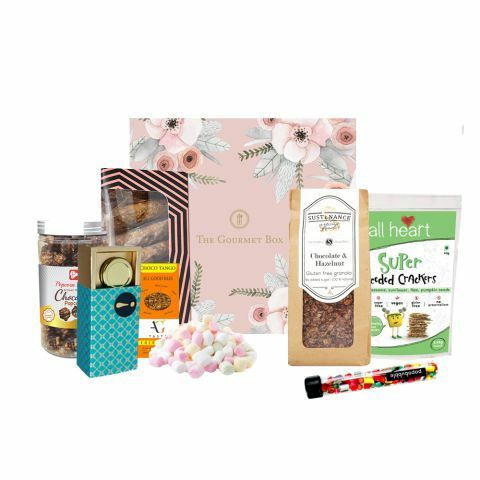 The Sweet and Savoury gourmet hamper from The Gourmet Box is the perfect alternative to sugary and overly salted snacks that busy people often tend to binge on while working. This hamper contains healthy snacks which are easy on the stomach. The gift includes a Flavoured Oatmeal Cookies, Flavoured Popcorn, Flavoured Seed Crackers, Flavoured Marshmallows, 2 Cereal Bars, All Natural Granola Pack, set of 2 mini bottles of Chocolate Fudge and Candies in a test tube. Most of these snacks will do more good than harm to the overall health of a person, but of course moderation is the key. But this is definitely the start of a better and a healthier lifestyle for a person who tends to neglect their health. Buy this delicious gift for ₹3,330. Your boss may have multiple digital devices, but a simple notebook is sometimes all that you need to keep track of your whole life. Remembering hundreds of passwords, birthdays, meetings and other important details of day to day life can wreak havoc on a person’s mind. 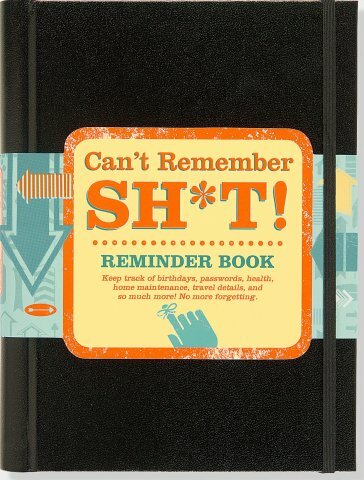 Make your boss’s life a little easier by gifting him this Can't Remember Sh*t: Reminder Book from Peter Pauper Press. With this handy notebook they would no longer have trouble keeping track of birthdays, passwords, health, home maintenance travel details, and everything else that is of any importance. With properly divided sections for passwords, important dates and other things, this notebook is like someone’s very own personal assistant. Now your boss won’t have trouble remembering the cute little bistro that they loved so much or forget to carry that important document to the board meeting. This notebook has a hardbound cover and is easy to carry around. Buy it for ₹865 from Amazon. A personalised gift has the power to make anyone feel special. If you want to be in your boss’s good books a wise idea would be to get him or her a gift that is made just for them. 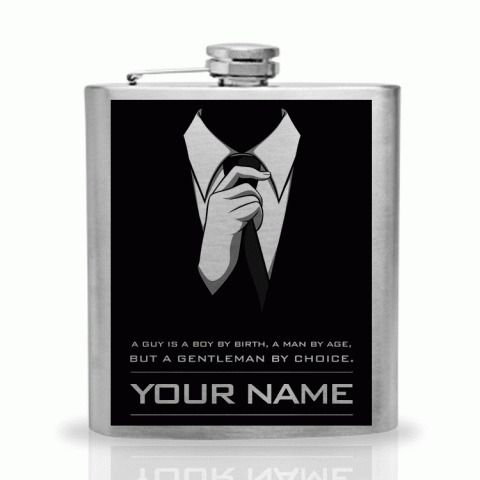 If a drink or two always puts your boss in a good mood then get them this personalised flask from photopages.in. This stainless steel flask has a high shine and the customisation is done via UV printing on one side of the flask. Put your custom image and text on the flask. This flask is lightweight and measures around 4.52 x 3.54 inches. 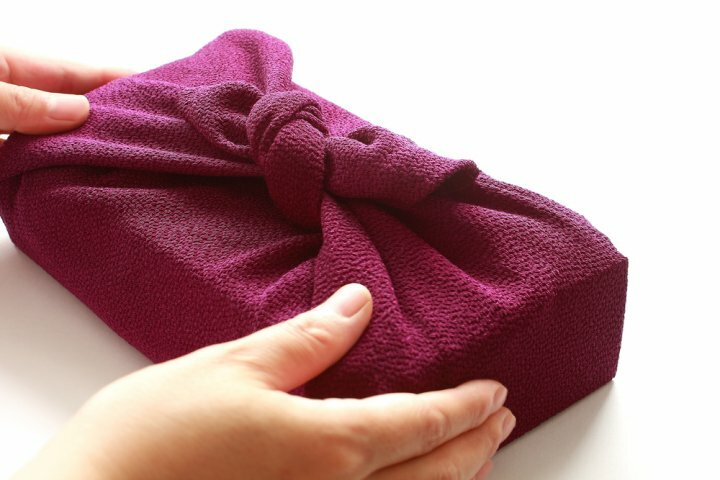 It can be easily carried around in the pocket of one’s blazer, suit jacket or purse. Buy a customisable flask for around ₹799. For someone who has got everything it’s sometimes the simple things that creates the most impact. Showing someone you care is a very basic human quality and your boss maybe a great man or woman, but we are sure that they appreciate simple gestures too. Drinking the right amount of water throughout the day is the most basic and one of the most important forms of self-care. Dehydration is often the reason for a large number of health issues that seem to plague everyone nowadays. But a busy person often forgets to get this simple task done. 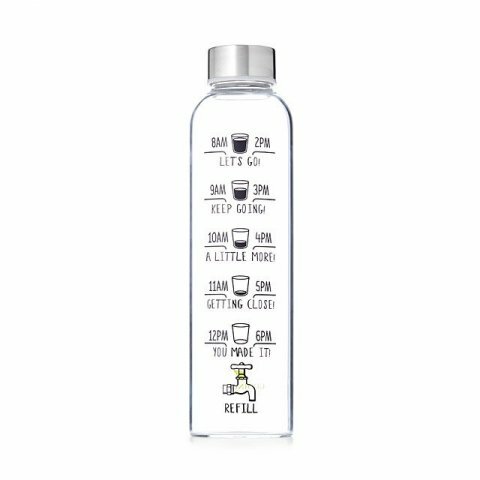 Get your boss this Drink More Water Bottle to remind them to hydrate themselves. This bottle marked with motivational messages will remind your employer to get their daily requirement of H20. Carrying around a refillable water bottle is also one of the best ways to refrain from using single use plastics by keeping one from buying bottled water all the time. Get this functional and whimsical gift for your boss from uncommongoods.com for around ₹1,386. Being the boss may seem like a position of power, but it’s a feat that’s not achieved in a short time. There are numerous people who contribute to a person’s success and thanking them is a good way to let them know that you appreciate their presence in your life. To make this task easier for your busy employer get them this Year of Gratitude thank you cards set. This elegant box set contains 52 thank you cards that help express gratitude in the most profound of ways, by giving tips to write meaningful appreciation notes. That’s not all; it also has a guide journal to record one’s experiences. Helping someone to be a better person is always a good deed. So help your boss be the best version of themselves by giving them this thoughtful gift. 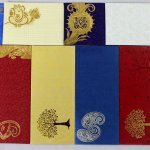 These cards are made from FSC certified paper and the journal has 56 pages. The whole set is priced at ₹2,081 from uncommongoods.com. A corner office is great but what would make it even better is some interesting art on the wall. Get your boss a motivational canvas art print that will not only brighten up his office walls but also give him some positive affirmation whenever he or she is in need of any. Buy this rainbow canvas art from engrave.in. You can choose between two motivational quotes; pick the one that you think your boss will find the most appealing. These square art pieces are available in two sizes - 9x9 and 12x12 inches. 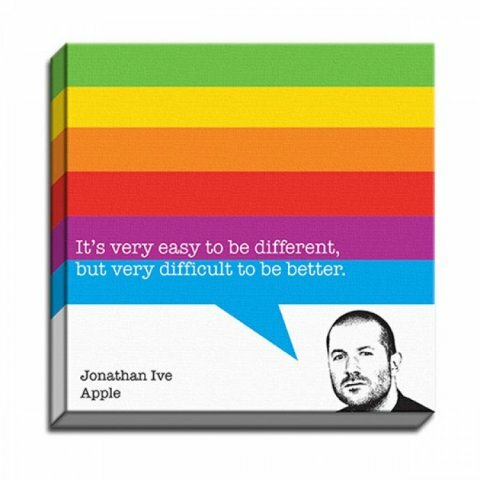 Priced at ₹1,000, this Jonathan Ives Start-up Quotes canvas art piece is an artsy and affordable gift that your boss will definitely approve of. Perfect for the boss who is setting up a start-up agency and is in need of some motivation. If you are looking for an inexpensive gift for your boss that creates an impact then don’t overlook the power of a motivational mug. This simple gift can double up as a desk accessory as well and provides the much needed early morning motivation that a busy entrepreneur needs. If you are someone who is just starting out in the job market, like an intern, then you can opt for this pocket friendly gift for your boss. 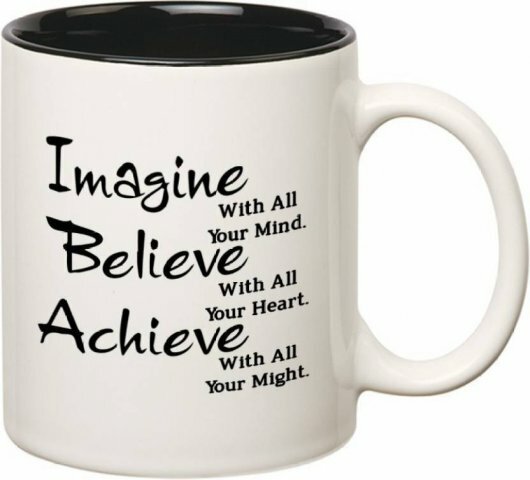 Our pick is this Imagine, Believe, Achieve mug from huppme.com. This white ceramic mug with simple graphics and a black inside is simple, cool and will look great as a desk topper. With a capacity of 350ml it’s perfect for that morning cuppa to get one down to business. Buy it for just ₹320. This next gift is just perfect for the boss who has a unique taste and green fingers. 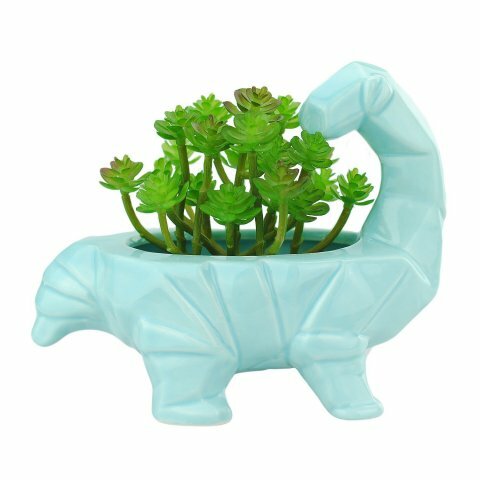 An indoor plant adds that much needed touch of greenery in an office and this dinosaur shaped planter will make that plant look even better. This quirky planter is perfect for small shrubs, succulents or bonsai. It’s available in pastel shades and two different dinosaur shaped models. The Supersaurus measures 6.50x5.12 inches and the Triceratops, 8.07x4.13 inches. Made of ceramic baked at high temperatures, this one won’t break or chip easily. Buy it from Amazon for $38.64 which is around ₹2,674. This one can be kept on the desk, a shelf or even on the windowsill. Being the boss’s favourite is everyone’s dream. But only the smart can achieve this tricky goal. Brown nosing never truly works. It’s sincerity and hard work which will eventually get your there. But a few small tips always work. Trying to get overly intimate with the boss and asking personal questions is a big no no. Instead start with greetings and general polite behaviour. Ask how his family is doing from time to time. If they respond positively, you can invite them for a meal at home eventually. Small comments like asking if he enjoyed the game last night or has seen that new documentary on Netflix are good conversation starters. 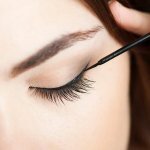 This will let you know them better without appearing overly inquisitive. Be friendly, but not too much and do let your opinions be known in a polite way. A strong man or woman always appreciates strength of character in others. It takes a lot of consideration to try and get your boss a proper gift. A lot of things can go wrong if you don't consider his/her preferences and tastes before choosing a gift. Say, If your boss doesn't drink, there's no point in getting him/her a hip flask. 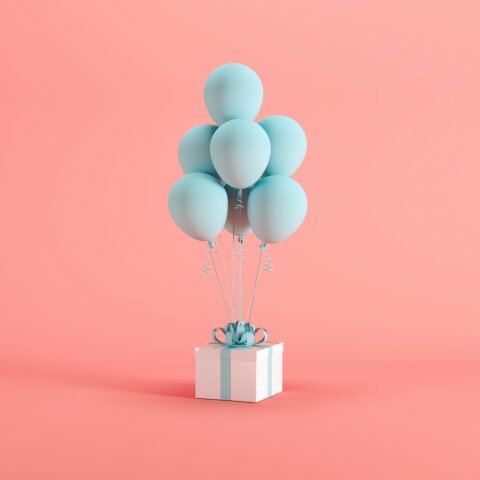 Make sure you have spent enough time in finding out these tiny things that will make a huge difference, and get your boss the right gift.